In honor of Olivia Hope Coloma. Happy 1st Birthday baby girl, our princess Olivia. We love and miss you so much! 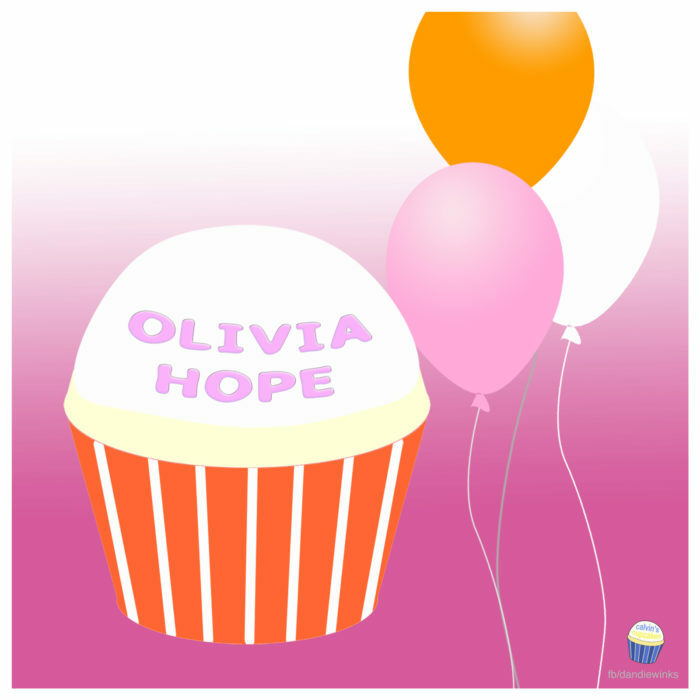 This cupcake was requested by Olivia Hope’s godmother, Jen. To learn more about Olivia Hope and her family, please visit OliviaHopeColoma.com.